A lot of the governments supposedly organising the stealings were Labor governments, so I suppose that is awkward for the historians. Could the stealers and genociders include, say, Bob Hawke’s uncle Bert Hawke, who was WA Premier from 1953-59? I sat in the WA Parliament press gallery a bit in 1959. I never heard Bert mention the genocide or table a report on it, but then again, I used to doze off a lot. It’s all a puzzle, isn’t it! However, you can hardly read any stolen generations history without coming across the name A.O. Neville, Chief Protector in WA, a public servant whose role seems to have included god-like powers and authority. And he was definitely a monster, with his henchmen criss-crossing the giant state ripping myriads of screaming babies from their loving mothers’ arms, to be corralled in the horrible Moore River Settlement. The Moore River Settlement (operating from 1918 to 1951) was indeed a disgusting place. And Neville did have some foolish ideas about ‘breeding out the colour’ by integrating half-castes into white society, except that for all his talk, he had neither staff nor funds to do anything about it (see below), and it was logically impossible anyway. WA Chief Protector A.O. Neville had 19,000 Aborigines under his control but at most a secretary and five or six clerks who worked with him in two rooms and a back veranda in Murray Street, Perth. His furniture was shabby cast-offs that other departments had rejected. p402 footnote. (Compare this with Prime Minister Rudd’s department of climate change in 2010: 408 public servants and $8m for office rent, with nothing to do there but send memos to each other: TT). For most of his 25 year tenure from 1915-1940, Neville had no patrol officers or travelling inspectors at all. From 1925 to 1930 he did have one travelling inspector, E.C. 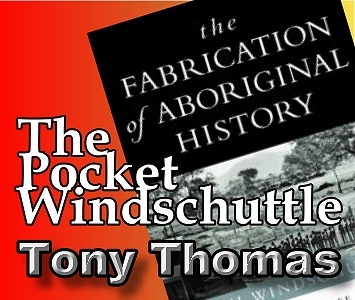 Mitchell, and Mitchell was so busy organising rations distributions, job permits for whites to employ Aborigines, health work, and inspection of missions, that he had little time left to steal children. The WA government was barely interested in its Aborigines. In 1935, NSW government spending on Aborigines was five pounds 9 shillings per head. Neville was expected to run his show on a budget of a mere one pound 9 shillings per head. 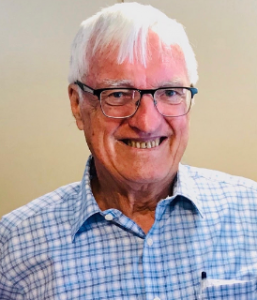 He had to run Moore River Settlement on a budget of nine pounds 13 shillings per inmate per year, compared with the WA government spending 64 pounds five shillings per inmate at Fremantle Gaol. Indeed, we all know about the three ‘rabbit-proof fence’ girls taken in 1931 and sent south to Moore River. A surprise though is that in that whole year, only one other Aboriginal child was sent to Moore River. In total in WA in 1931, there were 25 removals: 4 to Moore River, 9 were old and decrepit Aboriginals sent to a feeding depot at La Grange Bay, and 9 were prisoners released to the Port George Mission. In any year, child removals (for all reasons) to Moore River were generally under 20, and in some years, zero. 9.7 and footnote. So what was Neville’s actual program? Kids and parents could come and go to each other in daylight but at night, for their own safety from predators and assault, the kids slept in separate dormitories. How many children were removed by force to Moore River? The academics, TV producers and Human Rights Commission talk not of hundreds of WA kids removed, but ‘thousands’. They seem to be out by a factor of ten. It could not possibly be true, Windschuttle says. Of the 252 removed, A.O. Neville says they were orphaned, abandoned, or neglected welfare cases. One baby, for example, had been picked up after being left in the bush at Perth’s Kings Park. There were plenty more like them in the camps, leading tragic lives, whom Neville said he wanted to ‘take’ but regretted that he had no resources to do so. There were also large numbers of half-caste children whom he would never contemplate ‘taking’, except with their parents alongside. “We do not take infants from their mothers. The minimum age is six and generally not then. If we have to do what is unusual, viz. take a child from its mother, it is because the mother is not fit to look after it,” Neville wrote. The Human Rights Commission cherry-picked the phrase about his wanting to ‘take’ many more children, concealing his actual point that he was unable to ‘take’ them, despite the need to do so. p421 and footnote. Neville elaborated that in 18 years, he had taken only 20 half-caste girls from the Kimberleys, plus a few boys. That is, about one or sometimes two per annum. Neville had no reason to lie about the numbers. He was proud of his work, as he saw it, of rescuing kids from squalor and helping to get Aborigines off welfare (however parsimonious) and into jobs.